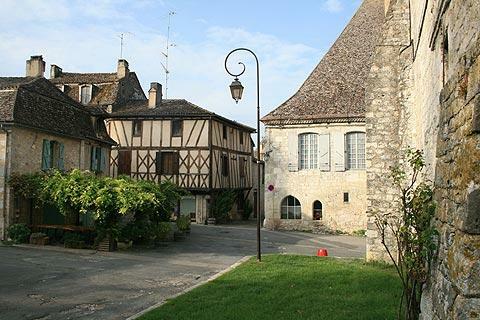 Issigeac is in the southern part of the Dordogne department to the east of Eymet and south-east of Bergerac, on a site occupied since the 6th century by a monastery and with prehistoric habitations that were occupied thousands of years ago. The Issigeac that we see today dates largely from the 13th-16th centuries. Firstly property of the Lords of Bergerac, then later the Bishops of Sarlat, the town had a tumultuous middle ages, with much involvement and damage during the Hundred Years War and the Wars of Religion. France This Way comment: until a few years ago Issigeac was one of the undiscovered villages of the Dordogne region - truly a village that time forgot. That is no longer the case but the village has retained a great deal of its charm despite the arrival of tourism - and outside high season for tourists, the village is still very much a sleepy quiet little town. Issigeac lacks a central focus, but is rather a warren of medieval houses and streets to be explored at your leisure, admiring the details on the houses, and the numerous half-timbered properties. There are grander buildings - the Chateau of the Eveques of Sarlat at the bottom of the village (also now houses the Issigeac tourist office) is a very impressive stone building - largely a 17th century reconstruction of the earlier chateau that stood here and was damaged during the wars that ravaged the region. 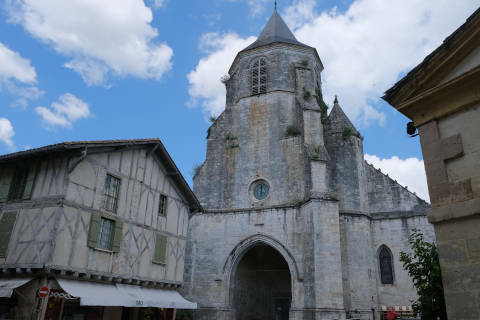 Other impressive buildings include the (almost adjacent) gothic church of Saint Felicien, and the fine Maison des Dimes (a high-rooved stone house opposite the entrance to the office of tourism). But it is the medieval houses and streets, half-timbered and often with raised balconies, that are the great pleasure of exploring Issigeac. One particular highlight is the house 'Maison des Tetes' where 600 year old carved wooden heads adorn the outside of the building (follow the 'main street' straight up from the church - the house is at the point where the road turns to the right). Peer into the beautiful but derelict courtyard of this house with its garden and raised balconies - this was once the town dyeing workshop, where dyes and tints were added to local cloth. There are a couple of small bars, estate agents and shops in the town but otherwise not a great deal in the way of facilities. The Sunday market in Issigeac is a popular place to buy and try many of the delicacies produced in the region. Although open all year, the market is of a completely different character during the summer months, when it takes over the town. In winter it is often just a handful of stalls. It is now a major tourist attraction in the Dordogne in summer. When we first visited Issigeac market 15 years ago it was lively but not exceptionally popular. It has transformed with the years and now you will find you are parking several hundred metres outside the village, fighting to move a few metres along the market streets, and waiting ages for a table in a cafe. Entertaining to visit but rather too crowded for me in the middle of summer. I live close to Issigeac so can visit outside high season! A couple of kilometers outside Issigeac, just off the road to Villereal, is a small village called Boisse. Boisse is notable as being very unspoiled, and very picturesque with various grand and less grand houses and farmbuildings . It won't take long for a wander, but is well worth the diversion. 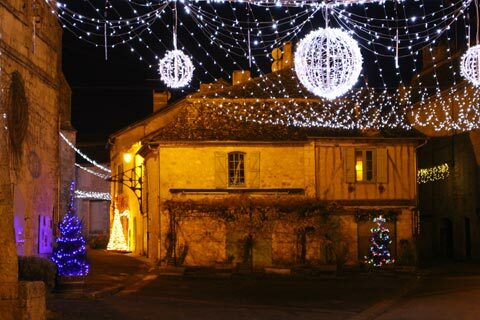 A few kilometres further the bastide town of Villereal is a 13th century town with a lively centre while to the west of Issigeac the historic centre of Eymet is also recommended. Between Issigeac and Bergerac wine enthusiasts will want to visit the Chateau at Monbazillac, well known for its sweet white wines.